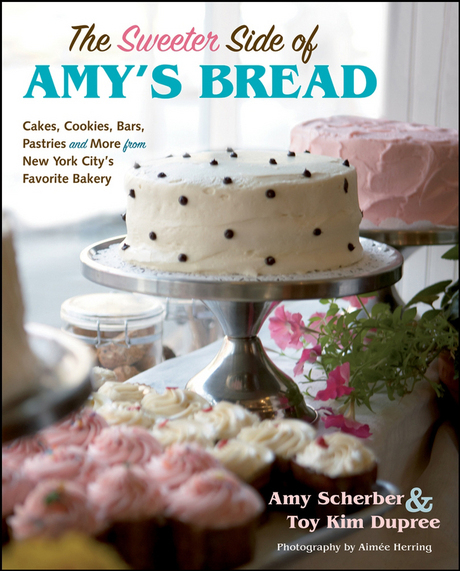 A few weeks ago I attended the launch of Amy Scherber and Toy Kim Dupree's new book, The Sweeter Side of Amy's Bread. For those of you who don't live in NY, Amy's Bread is the one most often found at upscale restaurants that don't bake their own (and few do!). There are also two consumer locations, one in the village on the famed Bleecker Street and the other in the Chelsea Market where the book party was held. I am a great fan of Amy and Toy's so I went to support them, not realizing I would get to meet almost the entire publicity department of my new publisher Wiley (who published this book)! And what a delightful part it was with a nice mix of colleagues and customers and many generous samples from the book. An older gentleman, watching me peruse the book, asked me if I was in it. My response was "why would I be?" and then I thought to look in the index and there was honored to find my name in two places! As almost every bread baker I know, Amy and Toy are the soul of generosity and Amy told me that the recipes in the book are exactly the ones from the bakery--no secrets withheld. I was thrilled to see that the book has the familiar ingredients charts I so adore and told Amy I was a little jealous that they got to put grams first! She said they insisted on it as that is the way they bake. The ounces and volume are in the second and third columns. I'm sure you'll value, as do I, the "Tips and Techniques" that appear throughout the book in a pale lavender rectangle, and a great version of Red Velvet Cake on page 105. But worth the price of the book alone is the moistest, darkest Devil's Food Cake (page 175) I've ever encountered, in fact, I made the cake the very next week so I could have more of it! 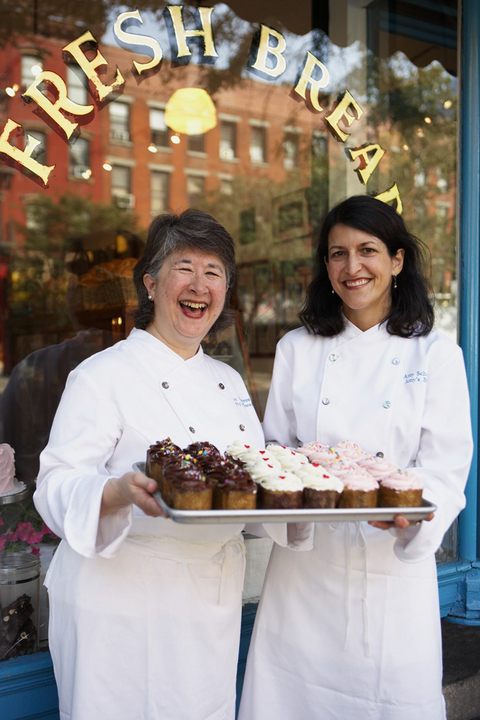 The Sweeter Side of Amy's Bread: Cakes, Cookies, Bars, Pastries and More from New York City's Favorite Bakery on Amazon.